Microsoft’s Windows 10 team is now testing a new cumulative update build 14393.722 is for Anniversary Update devices. 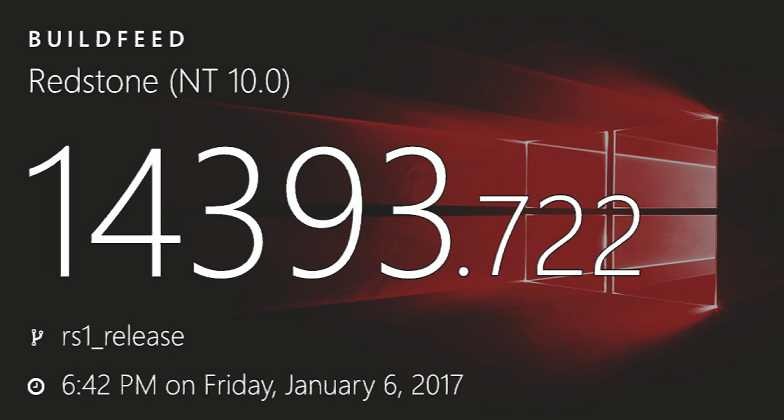 The cumulative update build 14393.722 for PC and mobile build 10.0.14393.722 were compiled on January 6, 2017. Meanwhile, Windows Insider team is also testing Windows 10 Creators Update build 15007 (10.0.15007.1000) internally. Currently, Windows 10 Insider build 15002 is now available for Fast Ring members. The latest build brings many new features and improvements. Additionally, Insider team is working hard to brings next mobile Insider build pretty soon. Finally, Windows 10 build 14986 ISOs are now available for download. You can download ISO from here. However, you can also expect build 15002 ISOs next week.